HWelcome to Sweden! First stop Stockholm. 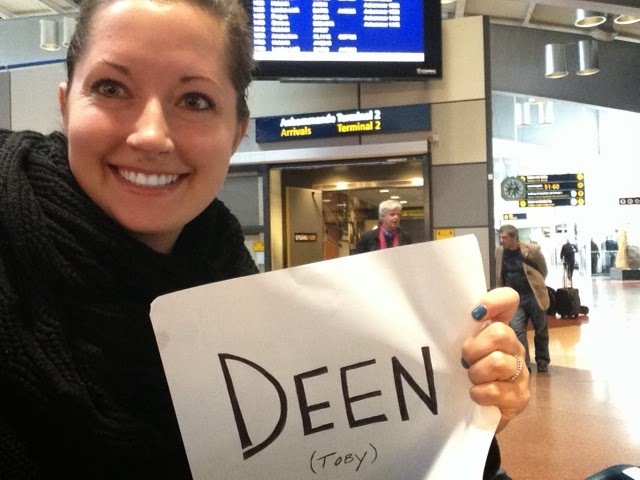 This is part 2 of a 4-part post covering our #DeenAdventures in London, Stockholm, Kiruna and Berlin. 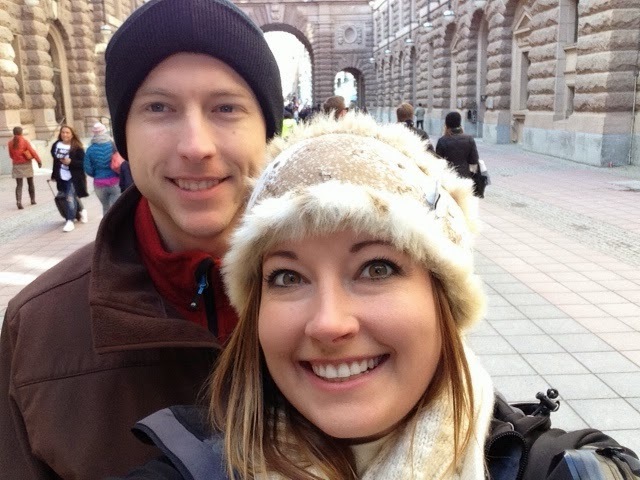 We start our adventure on Stockholm on day 8 for Danielle and Day 2 for Toby. I have an early morning flight from London to Stockholm and then a couple hour wait at the airport until Toby's flight arrives. Time to meet Toby at the airport.... I hope he can find me, but just in case I should PROBABLY have a sign ready. Quick trip to central station via local public transport, check in at the hotel (conveniently located across the street from central station) then lunch time in Rorstrandgatan. Surprisingly yummy food from this random bar we stopped in! Schnitzel and brat anyone? By mid-meal Toby's eyes are about to close without contest so we head home for an afternoon nap. 2-hrs later we are on the hunt for our next meal. 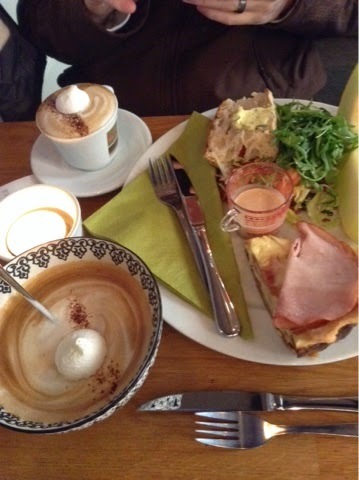 Yummy, this city provides amazing food! Who cares if it's snowing and soggy, our bellies are happy happy! Bed time was set for midnight with an 8:30AM wake up call..... Tooooootally slept through that and didn't manage to get out of bed before 11:30. We are bad tourists. On to explore the city! 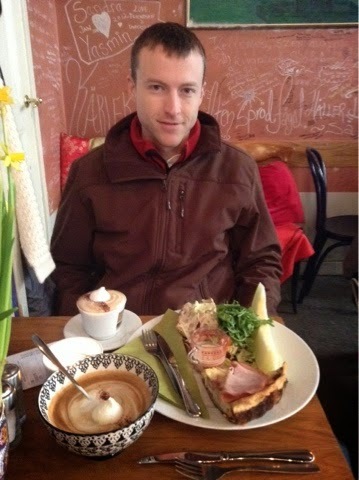 We find a little cafe with the most unique hometown feel. 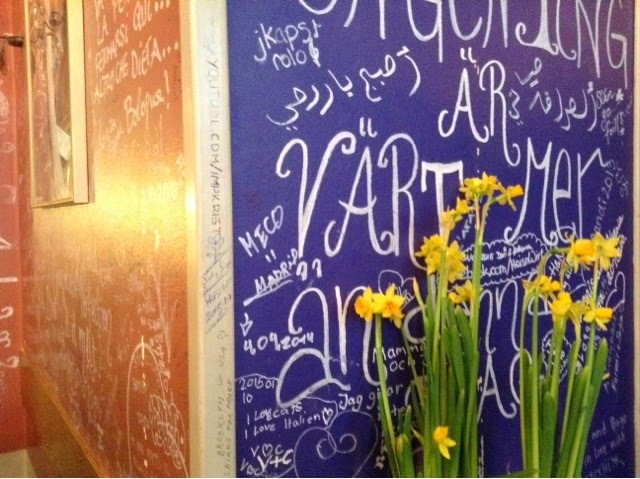 So of course we disregard our "act like a local" attitude and begin taking pictures of our food and signing the wall. Next up? Walk around and stumble upon monuments and small shops en route to the Nobel Museum. 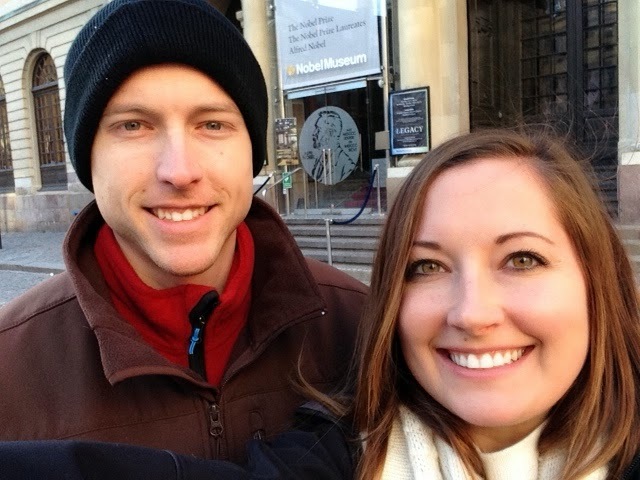 Nobel museum here we come! 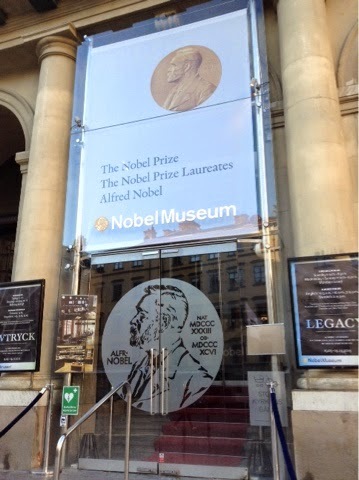 The Nobel Museum was wonderful! So glad we went. There are 5 categories for The Nobel Prize. The most well known is the Nobel Peace Prize. The other categories include medicine/physiology, literature, physics, chemistry. Then in the 1960's an additional award was created for economics. The original awards were created by Alfred Nobel when he put it in his will (he was a gazillionaire back in the late 1800's). Since the economics award was not in the original will, it is not actually a Nobel prize, but a prize in memory of Nobel. Fun fact! There are currently 889 Nobel Laureates. 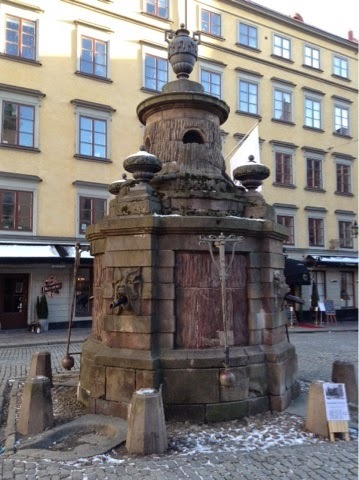 This beautiful fountain is the CENTER of Stockholm. When I say center, I mean center. Everything is measured from this point. 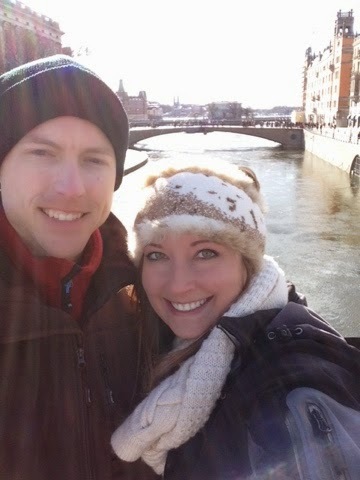 Another fun fact....Stockholm is comprised of 14 islands connected by 57 bridges. 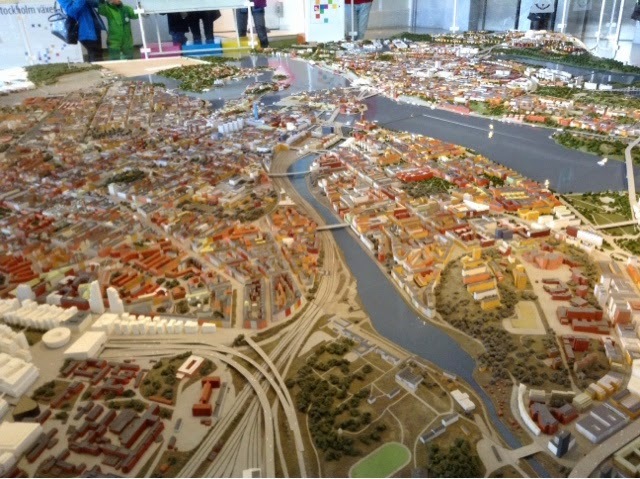 You can see this on this aerial view of a 3D map of Stockholm. Now we eat and get some sleep! 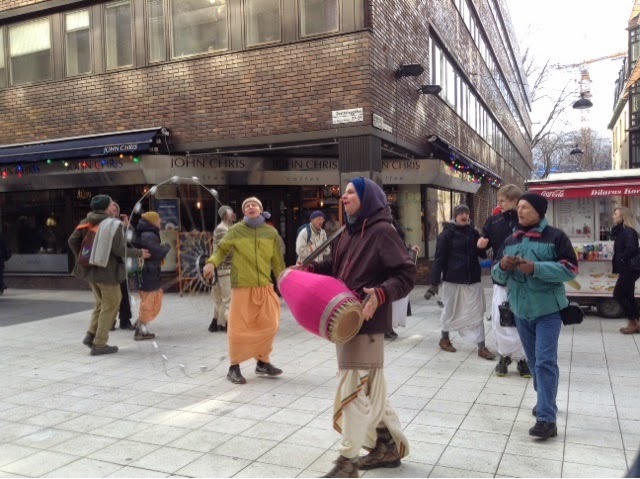 We planned on going to see the changing of the guard, but we decided to take the morning easy and then head to Djursgaten to see the gardens and the Vasa Museum. 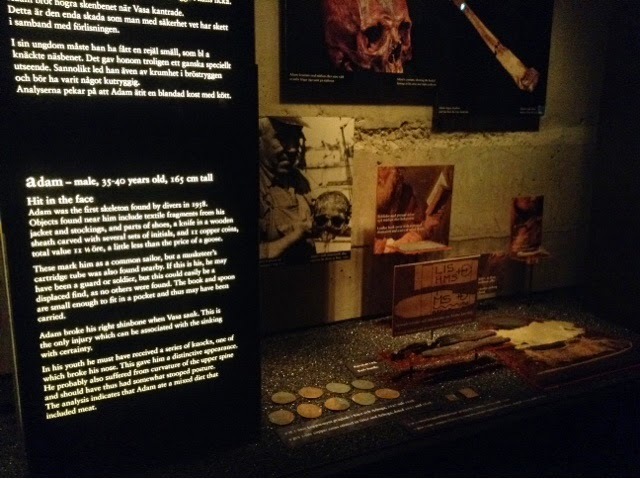 The Vasa Museum is AWESOME. Who knew a big ole boat could be so cool? So this ship was built back in the early 1600's. On its maiden voyage it made it 1,000m off the coast before sinking. In 1956, after 333 years at the bottom of the Baltic Sea, a researcher and wreck historian began the task of bringing her to the surface. It took many many years to get her prepped to lift off the sea floor, many more to get her to the surface and decades to prepare her to not completely fall apart by the wood drying out. Somehow, with good sea conditions, lucky mud placement, and the historians patience, 98% of the boat that we saw was original construction. The Vasa sunk due to poor construction. It was too narrow and top heavy with two levels ready for battle with rows of cannons. There were 64 cannons on board the ship, when typical war ships in this era only had 20-30. These were expensive and extremely valuable. So valuable in fact that after the wreck people would volunteer to go down and retrieve them. The country was so poor that if thy succeeded in getting a cannon, they knew that they would be able to feed themselves for the rest of their lives. With people dying of starvation, this was a big deal. Volunteers would go down in a scuba egg (think of a garbage can turned upside down to house a big air bubble) to try and retrieve the cannons from on board. The water temperature was EXTREMELY cold and it was pitch black down at the boat at 33m deep. Essentially the volunteer would get lowered down in the egg, take a big breath and them swim around and try to find the cannon with their eyes shut, then find there way back to the egg and take a breath AND THEN....repeatedly go back to the found cannon and try to unlatch it and tie it up to bring back up to the surface with them. Out of the 64 cannons on board, 61 of them were retrieved using this method - cccccrazy. There were 150 people on board and 30 people died. 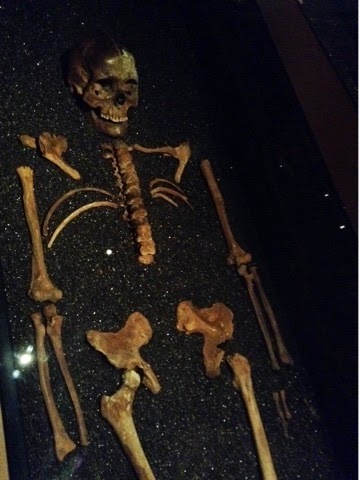 We saw 15 of the skeletons in the museum. Scientists have been able to determine, age, gender, health conditions, what they ate, etc. quite amazing if you think about it. After the Vasa museum, we headed out for a bite to eat and early bedtime. We had a flight to catch in the morning. I was a smart girl.... A pint at dinner + Advil PM (I have a pinched nerve... Darn the luck)... I was out like a light. Toby.... Not so much. Instead, he just took videos of me snoring. I think he was jealous. 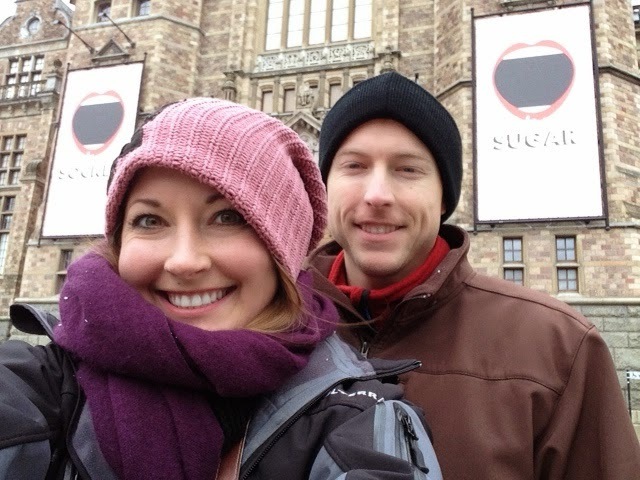 Day 11 - Monday, March 23: Today we head to Kiruna! Bye bye Stockholm. Thanks for the memories!